Concern for the environment may be on the rise, yet hundreds of cities across America have abandoned their recycling programs, according to the New York Times. Some of the examples they cite are discouraging: parts of Memphis keep using recycling containers to give the illusion of environmentalism but throw the contents away with the trash, Philadelphia now straight up incinerates half of its recycling and Deltona, Florida eliminated its recycling program altogether. To understand the reason for this shift, we have to travel outside of the U.S. itself, specifically to China, a country that until last year used to take the lion’s share of American recyclables and processed it there. China changed its tune on taking our waste because, well, Americans are terrible recyclers, and they kept getting too much garbage mixed in to make the venture worthwhile. 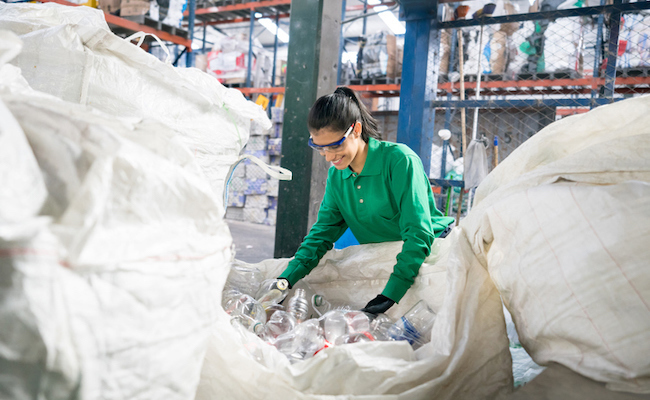 Other Asian countries have tried to pick up the slack and take that recyclable waste instead, but simply put, they don’t have the facilities and resources to adequately cover China reducing its intake by literally 99 percent over two years. That’s left American cities scrambling to figure out to do with their own plastic waste. Obviously, the U.S. has some facilities, but far from enough to cover the loads of refuse it collects. As a result, the cost cities are paying to have their waste processed is in some cases four times more than it was last year because the demand is so high. On the one hand, charging more for recycling isn’t necessarily bad because the expense of running a recycling facility doesn’t make it a profitable enough enterprise to be attractive – waste management companies still make more money simply transporting waste and dumping it in a landfill. If companies can charge a premium for recycling, that’s an incentive to expand the market. On the other hand, the growing cost has put cities in a difficult financial position where they either have to raise taxes to cover recycling or cut other services. Considering how many have started quietly dumping their recyclables into landfills, clearly not every city feels that recycling is worth the expense. Still, it’s a conversation at least worth having – how much are people willing to pay to see their waste repurposed? If it’s a lot, then great, let’s go ahead and make sure recycling companies are well compensated for performing such an essential service. Then again, those communities that forego recycling in favor of cutting down on their consumer waste altogether are probably doing an even bigger part for the planet. While recycling slows down the waste stream, it’s not the fix-all solution that a lot of casual recyclers optimistically expect it to be. Robert S. R: "paper has its own carbon problems". Not even a tiny fraction of plastic... plastic won't biodegrade for up to a million years! The US must become responsible for its' own recycling and reduce the use of single use plastics. Consumers should not have to pay for "recycling" services when there isn't any recycling happening in their town.